YAY, it’s a bonus post! Today I am sharing my summer wish list in collaboration with Sydney from Anchored in the South. 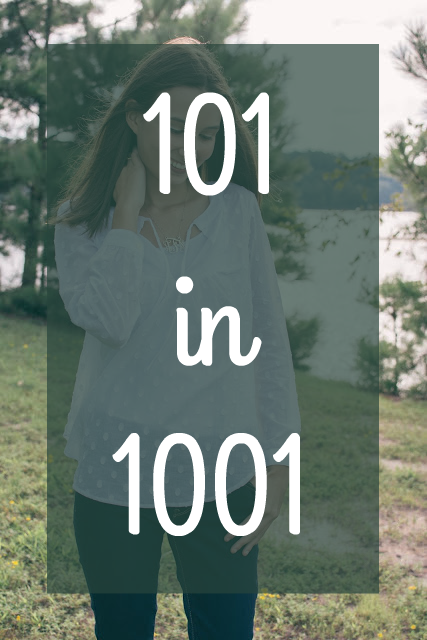 I absolutely love her blog, and I was so excited when she reached out to me about a collaboration. 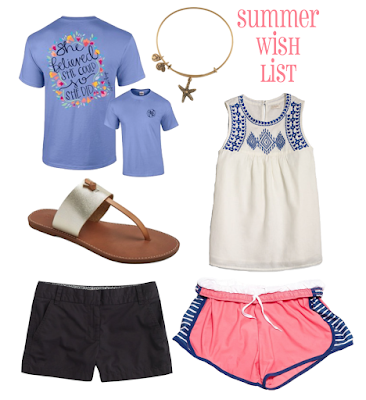 Now that summer is in full swing, we thought it would be fun to share what is on our wish lists. I have had time to figure out what items I have been using and what I am lacking. As a result, I compiled a list of things that would make my summer days just a little bit brighter! Alex and Ani: Alex and Ani's are my favorite summer accessory, they are light weight and add the perfect touch to any outfit! Plus, how perfect is the starfish for summer. I think it would be perfect to remember all the summer memories to come. J.Crew Factory Tank: I love this tank!! It is perfect for casual summer days, paired with some fun chino shorts. Ashton Brye T-Shirt: I have been babysitting this summer, and I find t-shirts being my go-to top! They are perfect for trips to the pool and the park, and you can pair them with running shorts or regular shorts. Plus, this one is just too cute; I love the quote and the design! J.Crew Factory Shorts: I desperately need a new pair of black chino shorts; I have a pair that I got around 2 years ago, but they have become faded and just need to be refreshed! Krass & Co Athletic Shorts: I will admit I hardly ever wore running shorts during the school year, but ever since starting to babysit this summer I have been wearing them on repeat. I have one pair of Krass and Co shorts and they are definitely my favorite, so I'd love another pair! Target Sandals: How cute are these sandals? They are only $20 and from Target! Aren't they just way too good to be true?! Definitely a super fun pair of shoes for summer. Thanks so much for reading and make sure to check out Sydney’s post to see what is on her wish list. And if you came from Sydney’s blog please browse some of my posts and check out my social media, if you like what you see I would really appreciate a follow! I love everything on your wishlist, especially those cute Krass & Co shorts! So happy we got to collab! Aren't those shorts so cute! thanks for reaching out to me! loving that jcrew factory tank!!! Me too, it is super cute!! Loved your post Ashley! I especially love the J.Crew Factory tank and Krass & Co. shorts. Thanks girl! Those two things are definitely super cute!